Former FBI Director James Comey revealed Thursday that he provided excerpts of his memos to a friend with the understanding that they would be given to reporters. Comey told the Senate Intelligence Committee that after President Donald Trump tweeted that he might have "tapes" of their conversations, he realized his private memos might set the record straight. "I asked a friend of mine to share the content of the memo with a reporter," he said. "I didn't do it myself for a variety of reasons but I asked him to because I thought that might prompt the appointment of a special counsel." When asked by Sen. Susan Collins (R., Maine) who his friend was, Comey identified him only as "a good friend of mine who is a professor at Columbia Law School." The Columbia law faculty website crashed immediately, as reporters tried to discover who it was. 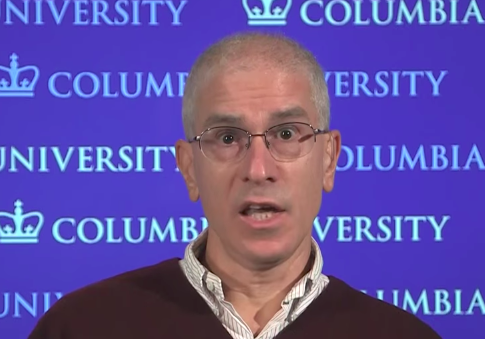 But suspicions soon fell on Professor Daniel Richman, whose faculty bio lists him as "currently an adviser to FBI Director James B. Comey." Richman was also described as "a longtime Comey friend" in an Associated Press report in May. Eventually Richman came forward and identified himself as the leaker in question. Columbia Law Prof Daniel Richman confirms to @ZCohenCNN that he is the friend that provided excerpts of the Comey memo to reporters. Richman is a former federal prosecutor who also served as a consultant to the Department of Justice and the Department of the Treasury on federal criminal matters, according to his Columbia bio. He currently teaches criminal law. This entry was posted in Politics and tagged Daniel Richman, James Comey, Susan Collins. Bookmark the permalink.